Your are in: Home / News / It’s Fantastical Disruptive Underground – DIY are involved. It’s Fantastical Disruptive Underground – DIY are involved. 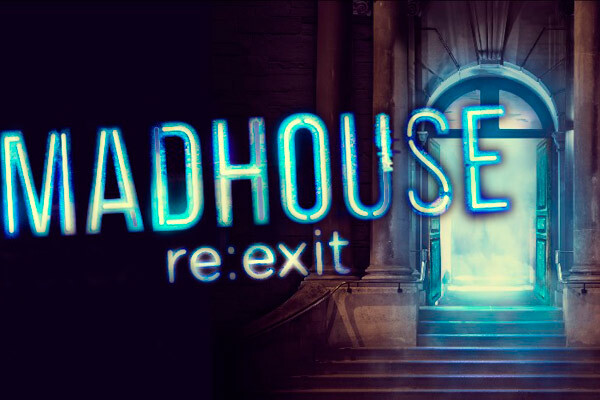 DIY Theatre Company is currently taking part in an exciting and challenging collaboration with Access All Areas to bring their immersive performance [MADHOUSE re:exit] to Manchester. Access All Areas is a London-based company which creates award-winning, urban, disruptive performance by learning disabled and autistic artists. They have invited DIY Theatre Company to be part of MADHOUSE re:exit performances. MADHOUSE re:exit will be performed beneath Barton Arcade in Manchester City Centre. Five learning disabled artists will tear back the walls to their lives. Past and present spin together in a powerful expression of what it feels like to be learning disabled today. Inspired by a refusal to be silent, and a history of being ignored, five learning disabled artists will take you on an underground adventure. A goddess, a baby, a bird, an eater and a ghost – growling to be heard, and waiting for the revolution that is forever promised. Over two years, ‘MADHOUSE re:exit’ has built on the legacy of Mabel Cooper, a learning disabled activist and resident of a long-stay hospital. Now, award winning theatre company Access All Areas return with a fantastical, disruptive, immersive experience inspired by Mabel’s achievements. During May, DIY Theatre Company will be undertaking training with artists from Access All Areas. A small group of DIY actors will then take part in the performance; guiding audiences through the maze-like institution. Click here to see the how the performance went. This show has now finished! This is a Lowry event but performances will take place in central Manchester at Brickworks, Barton Arcade, St. Ann’s Square, M3 2BH. Barton Arcade is on Deansgate in Manchester – you can find out how to get there when you book tickets. Tickets: £10. Running time: 90 minutes. Age Guidance: 16+.